For four days only, 5/27-5/30, Mitsuwa held its Japanese Gourmet Foods Fair across the country, offering up various specialties from Japanese vendors. 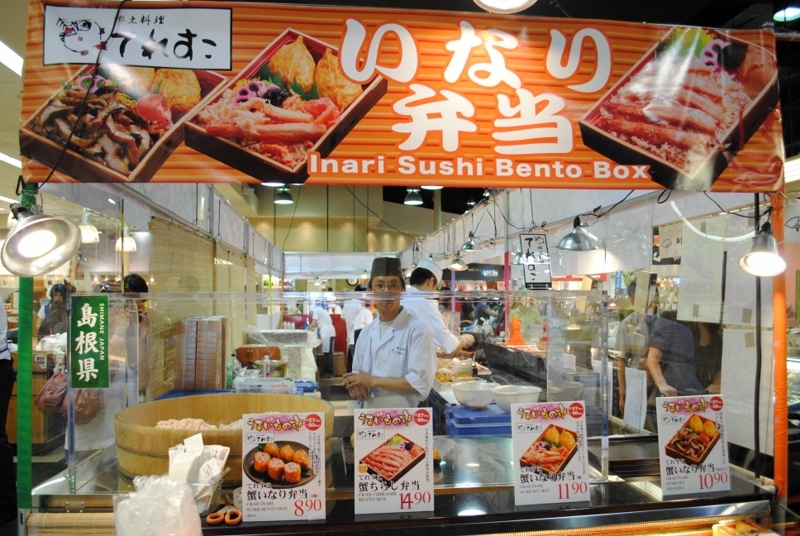 The event gives Americans a taste of some of the food popular in Japan, but not widely available locally. For me, the large draw is the ramen shops. In the SoCal area, Chibakiya would be serving up bowls in Torrance, and Hakata Ippudo in Costa Mesa. I’ve been hearing things about Ippudo for a long time now (as they have a very popular branch in NYC) and I’ve been wanting to try it. This was a perfect opportunity! We arrived at around 1pm, and the parking lot was extremely crowded. Crap. I expected lines to be long, with ramen fans coming from far and wide to sample Ippudo’s ramen, as well as the other vendor specialties. 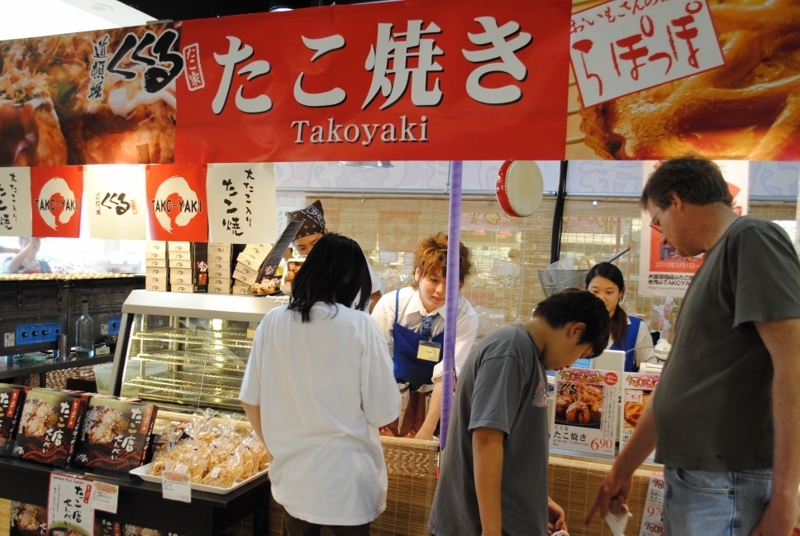 The first stall you see walking in is of takoyaki being freshly-made. 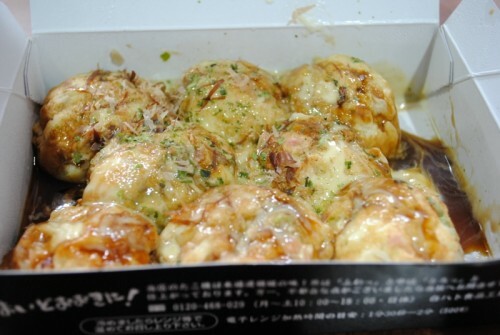 Takoyaki is a popular Japanese street food, consisting of a chunk of octopus in a flour tempura-like batter, and in this variation, topped with bonito flakes and powdered seaweed. All day, these were being freshly made. Skilled chefs were in charge, and it’s a pretty unique display. Since all of the takoyaki are cooking at the same time, when it’s time to flip, they have to flip each one individually as soon as possible, lest they burn. The takoyaki comes in boxes of 8. While they are freshly made, they sit in these boxes for at least a few minutes. Added with the sauce on top, these became very soggy in a hurry. Overall, it was sort of a ball of mush, but with a nice chunk of octopus inside. 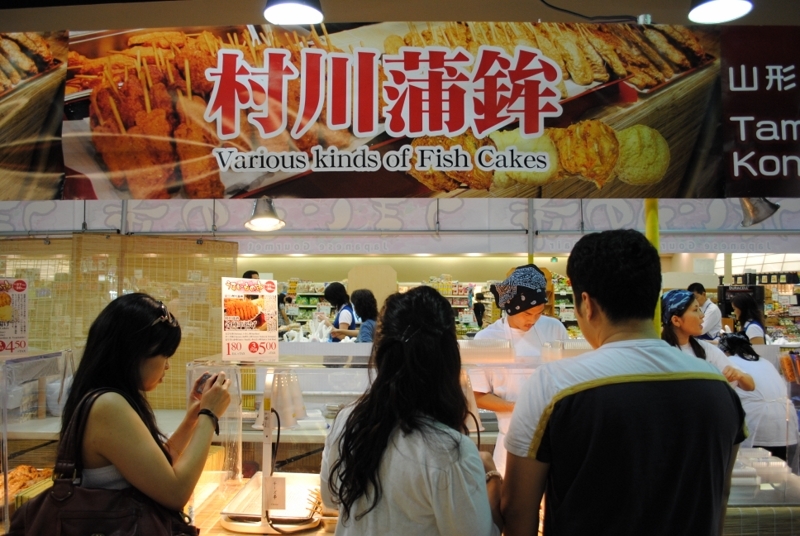 The flavors were somewhat muddled, I found, as well. Some of the other vendors featured various fish cakes. Shinkineya’s rendition of tama konnyaku. And inari and seafood bento boxes. 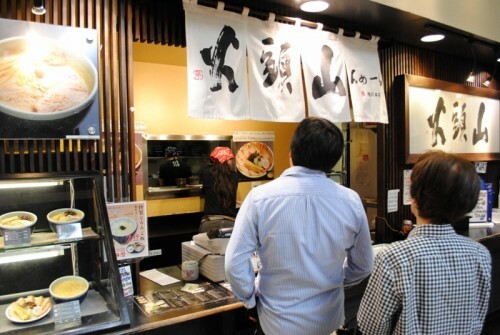 However, to me, the main attraction was Ippudo. When we got there, Ippudo’s line was relatively short, and would stay this way the rest of the day. Each time we went to get one, the bowls were ready within 10 minutes. 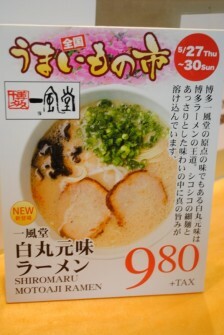 Ippudo was offering one ramen, their Shiromaru Motoaji, a rich tonkotsu-style ramen. The portion was on the smaller side, and topped with your option of pork, pickled ginger, crushed garlic, and sesame seed. 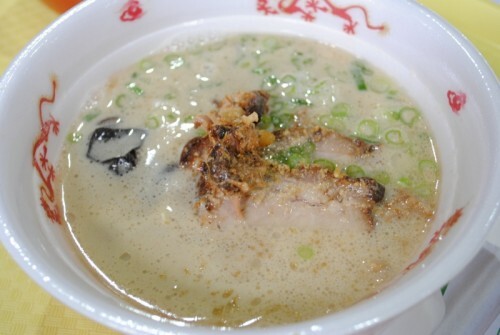 The broth was milky and flavorful, and not overly fatty. Really delicious. 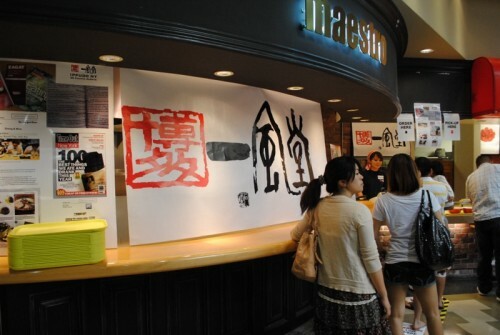 Noodles, handmade fresh, were flour-based and thin, traditional of Hakata-style ramen. They were prepared with just the amount of chew desired. The pieces of pork belly chashu, sliced rather thick, were wonderful. They were actually relatively lean, which I liked. The meat was very tender, and the marinade imparted a lot of flavor. 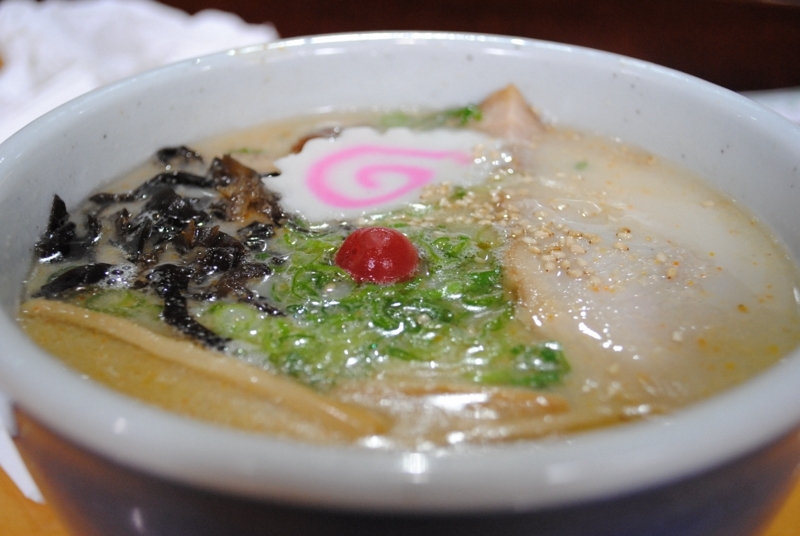 This was a great bowl of soup, and exactly the main attraction we had come for. It was clearly superior to the Hakata-style ramen we have in SoCal (Shin Sen Gumi is the most popular of this type), and me and my friend enjoyed four bowls of it. 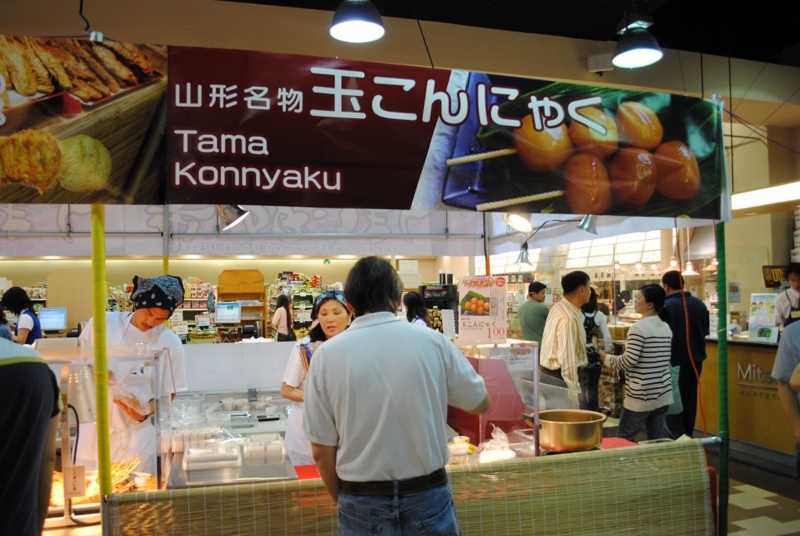 Since we were there, we stopped by Santouka (it’s located in the same food court), to get a baseline. Granted, these are two different styles of ramen, but it would be good to compare Ippudo to something we consistently found to be good in SoCal. 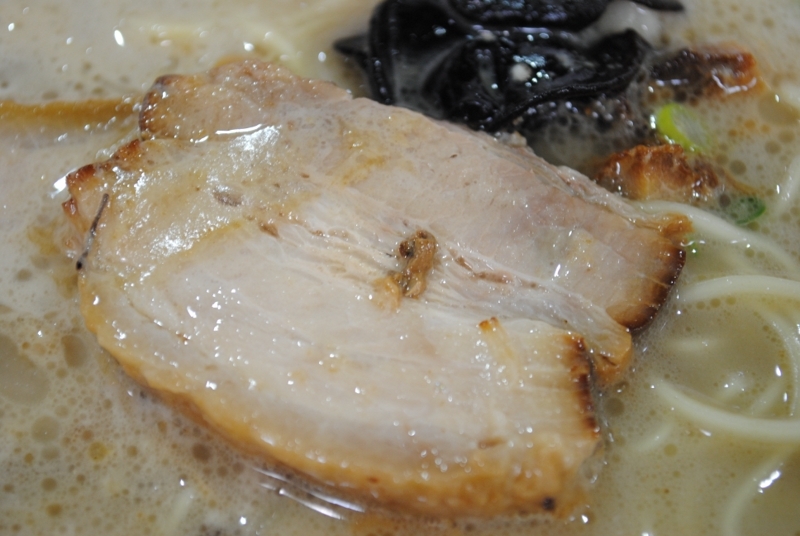 We got the regular shio ramen, their most well-known. 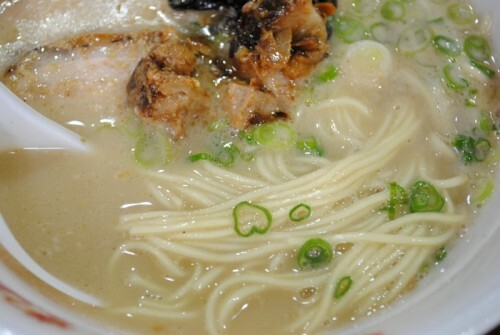 I tend to like the yellow, egg-y, curly noodles better than the straight white noodles of typical Hakata-style. Again, these two styles were very different. 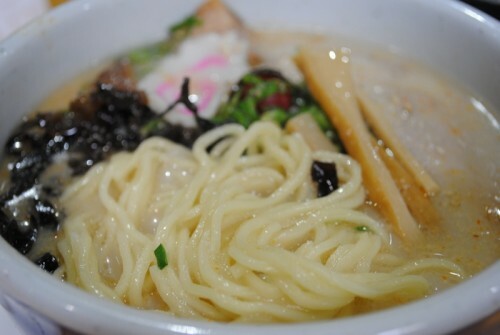 Santouka executes their version very well, with a slightly oilier broth, and nicely chewy noodles. However, I preferred Ippudo on this day. 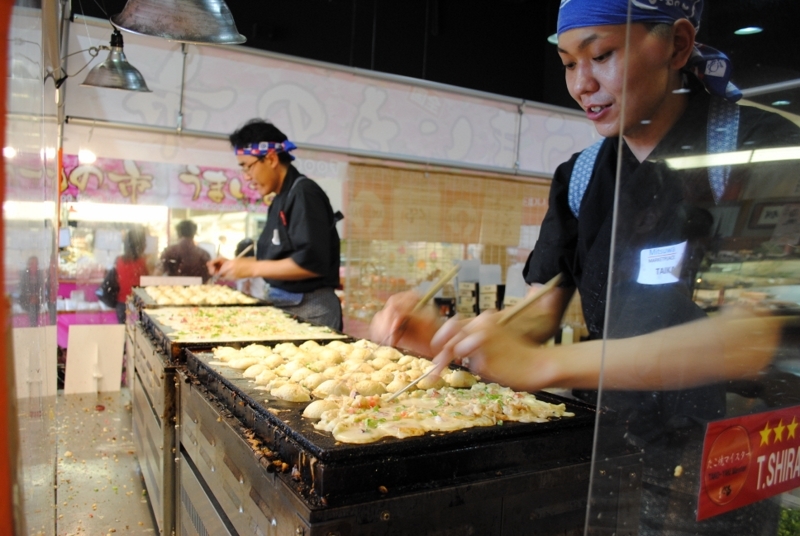 The festival also provided something sweet: mochi. 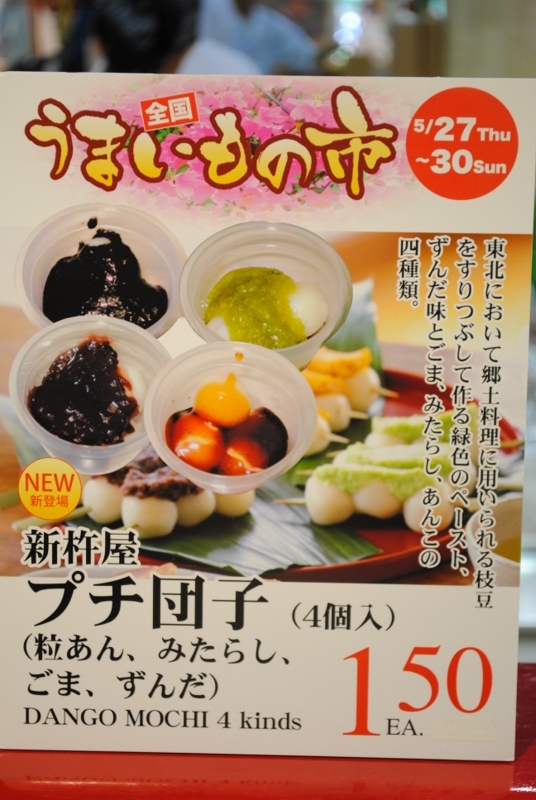 Fresh, soft mochi was paired with a number of different flavors; we chose the sesame paste and red bean paste. 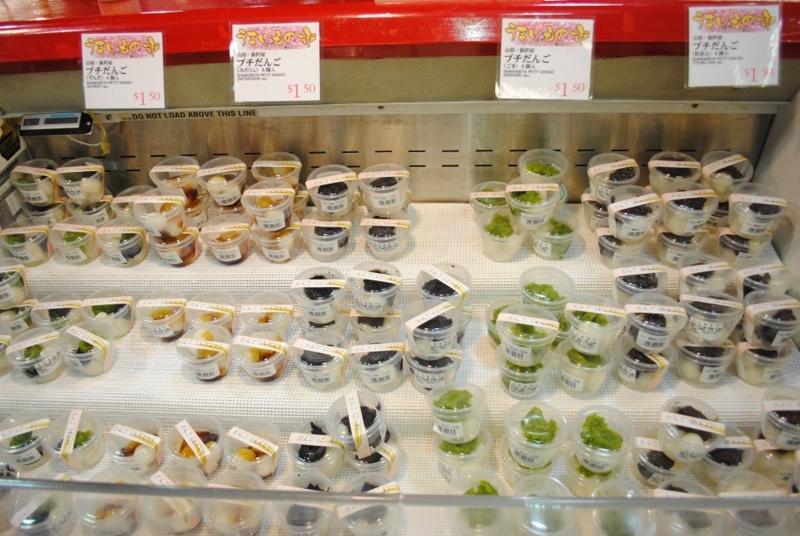 These mochi were definitely fresh – soft, gummy and chewy. The red bean paste was good, but I preferred the stronger sesame paste better. At this point in the day though, I was sufficiently full to not thoroughly enjoy them. Overall, the festival was pretty fun. My biggest surprise was that it wasn’t more crowded. Santouka’s line was consistently longer than Ippudo’s, for some reason, and the only other station with a wait was for takoyaki. The food, as well as the variety, was definitely a success.